Annie Kurowski serves as Managing Director of Grants and Federal Affairs at McAllister & Quinn. Annie brings more than ten years of experience working with members of the Senate, state governments and federal agencies. 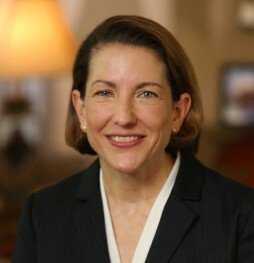 Prior to joining McAllister & Quinn, she served as Deputy Director for Congressional and Legislative Affairs for the Corporation for National and Community Service (CNCS) and as an adviser to a nonprofit public health foundation based in Germany. Annie has experience in negotiating the legislative process and developing legislative strategy in the areas of education, health, juvenile justice and research. She previously served as Legislative Assistant for domestic policy for Senator Gordon H. Smith and research and professional staff on the Senate Committee on Health, Education, Labor and Pensions. Annie earned a B.A. from Oregon State University and an M.Sc from the London School of Hygiene and Tropical Medicine and the London School of Economics and Political Science.